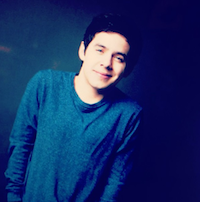 Thanks to the lovely @kariontour‘s #throwbackThursday tweets yesterday, we learned some valuable clues about David Archuleta’s next release, BEGIN. And the melodies go ’round, like this… I’m pumped! …& part of my magic is… Hawaii… so, you know, the usual. So there you have it folks. I, for one, can’t wait. What previously done covers would you guys like to see on BEGIN.? p.p.s. all GIFS from HERE. 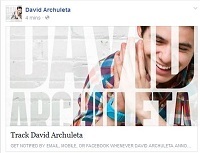 This entry was posted in Utter nonsense and tagged BEGIN., DA2014, David Archuleta, erhu. Bookmark the permalink. I wouldn’t mind a CD with just trombones, as long as David plays them! As for covers, GBTBR and Heaven are on the top of my list. The way he sings them is just so special. I would love to see Blackbird in there, too! Great post! I, as always, will always hope that “Crazy” is on the new cd but I don’t want to ask Kari because she will probably say no. HaHa.. Well we know one thing for sure. If David didn’t become a singing star, he could have been a traffic cop, an airport guider or a conductor of a symphony orchestra. Too many………Looking forward to it. another hint was something he was playing around with in Episode 20 of Nandito Ako. Oh my heck! Classic TOfan fun! Did you notice that after about the 4th or 5th time scrolling through these GIFs, you can almost hear his voice? I would go for some Joni Mitchell covers, and even older oldies. After seeing what David did with “This Christmas,” I would love to hear him interpret some Jackie Wilson music. I really don’t care what David covers. 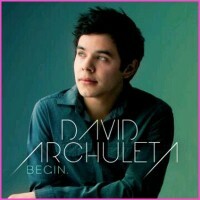 When “BEGIN.” is released, I will be there, all ears and tears. David covering a Joni Mitchell song would be amazing! I’m really hoping that Sounds of Silence is one of the songs that he’s covered before that’s on BEGIN. TOfan, I made a quick drive-by and had to park and enjoy this post. You are so amazing. I love it! Rox, love your comment too! Can I get a link to that interview? I love that one! Particularly, the part where he states that it takes a while for him to process what we’re saying. All along we’ve thought that he really zeros in on us when we interact with him when in reality he’s trying to decode what we we’re saying. lol Like, “do you want a carwash?” He’s hilarious! I need it because my laptop got STOLEN a while back. At the same time, my external hard-drive DIED, plus my thumb drive DISAPPEARED that had most all my David pictures and links on it. Pretty much all at the same time. Arghhh!! What a setback. Help if you would. eeek, your latop got stolen??? hope they listened to your tunes & are now David fans! 😆 … I’m so sorry I don’t have that link but I’ll try to look for it! You kiiiiillll meee Deb!!! “No socks per se…” How do you even come up with stuff like that? I mean the whole thing! And the rest of the “Not Really” series! David is so frickin expressive with his hands I just love it! Ok, song ~ how about Let It Be?? That would be awesome! Or Maybe I’m Amazed! This is just too hilarious !!! I LOVE how your mind works. I miss him. tofan, you are flat out, out of your mind, lol! Thanks for writing this thread, I wasn’t aware of the tweets/hints about BEGIN. abanana, was wondering the same thing, would love to see it. …..and 21,22,23,24,25. I’m emotionally exhausted. And how on earth did Jasmine survive all those looks. That is one strong girl. One, aye yiyi, Let It Be, ooooh myyyy, I’ll Be There, couldn’t take it, Maybe I’m Amazed, we would be, Bridge Over Troubled Waters, any one or all would be amaaaazing! TOfan this is so good and so hilarious and David’s adorable hand gestures, too funny. The clues have me in stitches, honestly. LOL. You have a great mind! My favorite Joni Mitchell song is “Help Me” with it’s jazz background. I played it incessantly on the “Court and Spark” album way back when in my early college days. I just took it out today and played it on an ancient record player (which still had a needle!!!! )…sweet memories. Her songs are super rich poetically (remember “they paved paradise and put up a parking lot” from “Big Yellow Taxi”) and she addresses ideals and feelings of we “regular” people in many of her songs. I am going to look for more of her music and download…thanks. And yeah, her lyrics are most definitely in David’s wheelhouse. 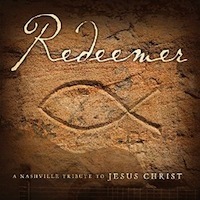 A cover of something Sara Barielles wrote would be awesome. I really enjoy her “King of Anything” and the lyrics are so fun and full of punch. *sidenote, Love Pride and Prejudice, book or movie. Colin Firth, one of my fav actors but haven’t seen his Pride and Prejudice. Must. **bows down** to TOfan> Queen of the “not really” posts. This one just had me smiling sooo much my face hurt… the captions are perfect and David himself is hilarious!! !